Have you ever wondered which blogs are my favorites? Would you like a list of places I shop for Women’s Ministry supplies? Perhaps you’ve wished I would share all of my favorite resources in one place. 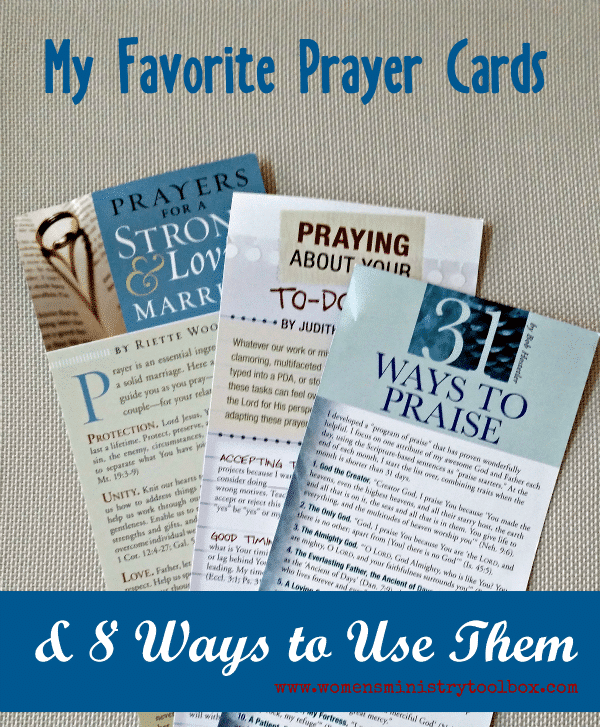 These prayer bookmarks are one of my very favorite things. I love the challenge of shopping for Women’s Ministry supplies on a tight budget. When I first started as the Women’s Ministry Director neither of our teams (at either church) had storage or much stuff to store. Today I’m going to highlight my favorite on-line shopping sites for Women’s Ministry supplies. If you missed it, be sure to go back and check out Shopping for Women’s Ministry Supplies Part 1 (Brick and Mortar Stores). I admit I love to shop and I love searching for great deals year-round. I’m always on the lookout for supplies for future Women’s Ministry events.